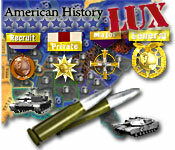 American History Lux is rated 3.0 out of 5 by 2. Rated 3 out of 5 by cochisewolf from The Game Is The Thing ... I got this a few days ago. I was going to comment that it wasn't challenging but then discovered it had more levels of difficulty doh! 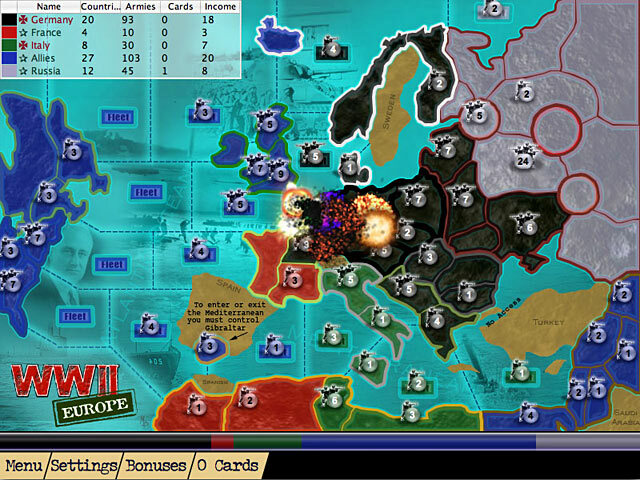 As Najia7 pointed out, it is far more a 'Risk' type game than a historical reference. What they do have is interesting but easily found anywhere. I think it has less of a luck factor than Risk although I can't exactly define why that is. Well worth the price. I've already put in several hours of play and still haven't mastered it yet nor find my interest waning. Scenarios can be played quickly for when you need just one more game but it's past bed time. The whole sequence will take much longer. Saving games is a snap and most of the user interface is intuitive. I would like to see a little more strategy i.e. supply rules, fog of war, that sort of stuff. Also the historical stuff could be better integrated and more thorough. But hey, six bucks, come on! I'm just whining now. I recommend this for game aficionados, would not recomend it as a prep for that history test. Rated 3 out of 5 by Najia7 from Not what I thought it was... I bought this game over a year ago when there were no picture previews or try it before you buy it availible for this game. Back then, the discription wasn't to good, so I thought I was buying a game about American history. 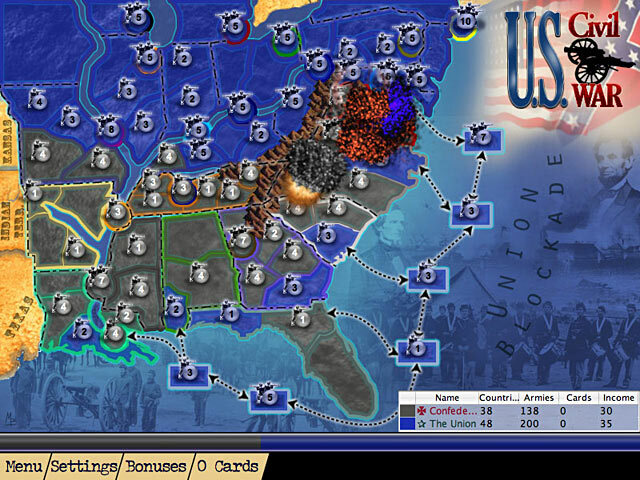 It is a war strategy game, much like Risk, where your aim is to win a war. For those that like those types of games, I really think this will be a hit. 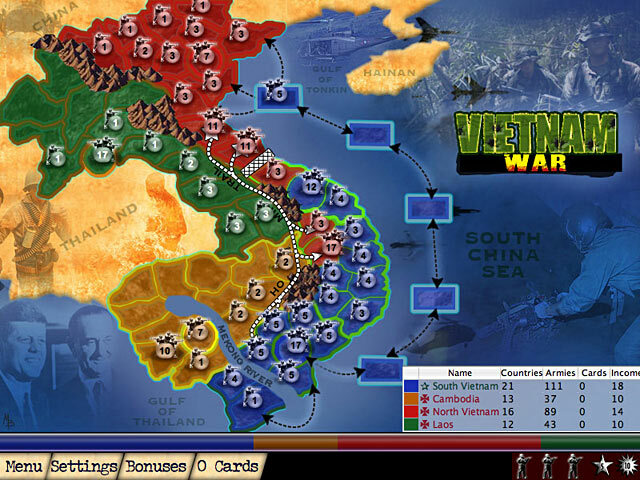 It was very challenging for me, but that may just be because I am not into war strategy games.